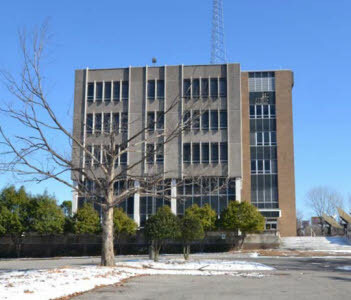 The Tennessee Historical Commission on Thursday announced the addition of four properties to the National Register of Historic Places. They include a 20th century municipal building, a farmstead, an insurance company building and a 1799 house. “Tennessee’s unique heritage is exemplified by these recent National Register nominations. Ranging from a late 18th century residence to a Mid-Century Modern commercial building, the listed properties depict the diversity of the state’s history,” said Executive Director and State Historic Preservation Officer Patrick McIntyre. 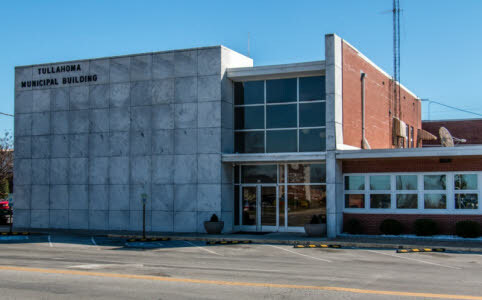 The opening of Arnold Engineering Development Center outside of Tullahoma in 1951 resulted in ancillary businesses moving into Tullahoma, with a resulting increase in population and the need for more city services. In 1954 the city constructed a Mid-Century Modern municipal building to house city offices and the offices of the Tullahoma Power System. The steel frame structure of the building is sheathed in Georgia marble and brick with many sizable windows on the public facades. The Chattanooga firm of Bianculli, Palm and Purnell was chosen to design the building. Mario Bianculli was a widely-known architect who had worked for the Tennessee Valley Authority. His firm was familiar with designing multi-use government buildings like the one planned for Tullahoma. The building served as the center for government and electric power until 1977, when the power company outgrew its space and relocated. 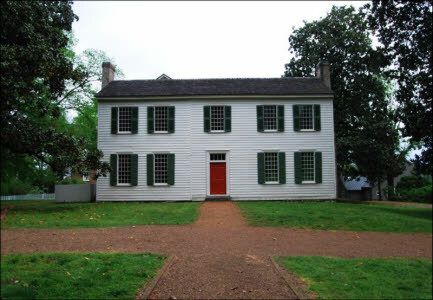 Travellers Rest was listed in the National Register of Historic Places in 1969 for its statewide importance in early settlement, particularly for the property being the home of Judge John Overton, a significant figure in Tennessee’s history. In January 2018, an expanded nomination became the first nomination in the state to include all four National Register criteria – events, person, architecture, archaeology. The 210-acres of Carverdale Farms include the main farmhouse, barns, a store, cemetery, church, two secondary houses and assorted outbuildings. Although settled in the early 19th century as seen in a circa 1830 log building, this and other buildings were adapted for re-use during later the 19th and 20th centuries. In 1890 the farm was sold to Samuel Carver who continued to maintain the self-sustaining nature of the agricultural enterprise. The main farmhouse was begun in 1850 and the Carver family continued to live in, update and renovate the house through the early 1960s. Samuel Carver’s great grandson, Joe Moore, continued the family’s agrarian heritage and was awarded the Star Farmer of America by the Future Farmers of America in 1955 for his leadership in agriculture. On October 24, 1955, Moore and the farm were the front cover of Time magazine, further recognizing the prominence of Carverdale Farms. The National Trust Life Insurance Company was started in 1931 by Alvin Wunderlich, Sr. as a burial insurance company. By the time the current building was completed in 1963 the company had expanded into an important commercial business that included both burial and life insurance; they had also expanded their market outside of Memphis. The unique design of the building was by Memphis architect Charles Jen of Martin and Jen. Set on a raised plaza, the 5-story building was constructed using a variety of materials such as concrete, marble, metal and glass. Rooms had their own controlled heating and cooling capabilities, which was unusual in the city at that time. A special five-zone system counteracted for the sun heating elevations during the summers and windows had a defrost system for the winter. Today the building is awaiting redevelopment. For more information, visit http://tnhistoricalcommission.org.